NEW YORK – Dr. Florence Lieberman, a pioneer of clinical social work in America and one of its leaders for half a century, died Wednesday, May 11, at 93. She had battled breast cancer for 25 years but still was writing professional articles, editing a new book and counseling clients up to the day of her death. A professor emeritus at Hunter College School of Social Work, Dr. Lieberman was the author and editor of many works, including "Social Work with Children," "Before Addiction" and "Clinical Social Workers as Psychotherapists," a book that underscored the evolving role of many social workers. After the National Academies of Practice was founded in 1981 to promote dialogue among the various health professions and honor distinguished practitioners, Dr. Lieberman was elected the first president of its Social Work Academy. She also served as president of the International Committee on the Advancement of Private Practice (ICAPP). A passionate advocate of higher standards for social workers, when others maintained that an undergraduate degree was adequate, Dr. Lieberman was known for her blunt writing and speaking style, exemplified by the titles she gave papers she wrote, such as "The Repulsive Client," "The Pathological Therapist" and "The Witches: Mothers in Psychotherapy." In that spirit, a 2004 tribute to her by Chicago social worker Thomas K. Kenemore was titled "Don't Worry, She'll Say It." Published in the Clinical Social Work Journal, one of two journals Dr. Lieberman herself had edited over the years, the tribute also spotlighted her creativity as a teacher, recalling her approach when asked to be the keynote speaker at the 100th anniversary of the Children's Home and Aid Society of Illinois: Dr. Lieberman dug out the very first case record of the organization's work with a child, a century before, "to bring attention to some enduring problems in the child welfare field, not yet resolved." Raised in the Bronx, the daughter of a women's coat-maker, Florence Lieberman graduated from Hunter College and the Smith College School for Social Work before obtaining her doctorate from Columbia University School of Social Work. After collaborating on a paper early in her career with the noted German psychoanalyst Peter Blos, she began a prolific pattern of writing and lecturing and entered academia herself, becoming a full professor at Hunter's graduate social work school in just five years. Part of the core group that developed the Society for Clinical Social Work as both a complement and counterpoint to the traditional National Association of Social Workers, she succeeded her good friend Mary Gottesfeld as editor of the Clinical Social Work Journal, then established and edited a second journal, Childhood & Adolescent Social Work. 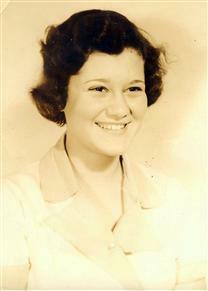 In addition to her teaching and writing, Dr. Lieberman maintained a private practice for more than half a century, though with a notorious start: she and several colleagues working at the Jewish Board of Guardians opened an office and hired a phone answering service that proved to be extraordinarily attentive and cheap, with good reason -- it was the front for a bookmaking operation. There was no such colorful sideline when her practice moved to Scarsdale, N.Y., where for decades she shared an in-home office suite with her dentist husband, Dr. Lawrence Lieberman, who died in 1991. While her husband still was practicing, Dr. Lieberman once was ask to counsel a young boy who was being relentlessly teased at school and nicknamed "Bugs Bunny" because of how his front teeth stuck out. She told his parents he didn't need a therapist but the dentist in the family -- and indeed, a set of braces did the trick. After nearly 40 years in Westchester,County, Dr, Lieberman moved, at 86, into Manhattan, where she counseled clients in her apartment overlooking the East River. She continued her private practice even after declining health prompted her to move last summer into a senior residence, Carnegie East, where she met with clients in her small living room. She also was known to conduct counseling sessions from her hospital bed at Memorial Sloan Kettering Cancer Center, using her cell phone. In her 1979 "Social Work With Children," which became a popular textbook in social work schools, Dr. Lieberman noted that while therapy should never be prolonged, the therapist's door should never be entirely shut, either. The message should be, "If you need me, I am here," she wrote. Though legally blind for the last two years of her life, Dr. Lieberman was collaborating on yet another book, dictating her contributions into a tape recorder. She is survived by a daughter Dr. Joan Kellerman, a member of the English Department at UMass Dartmouth, by a son, Paul Lieberman, a writer based in new York, and by daughter-in-law Heidi Menzel Lieberman, assistant principal of Bronxville Elementary School. Services will be 1:30 p.m. Monday, May 16, at Frank E. Campbell -- The Funeral Chapel at 1076 Madison Avenue. In lieu of flowers, the family asks that contributions be made to the Helen Rehr Center for Social Work Practice, c/o B. Silverstone, 1755 York Ave., Ste 32F, New York, N.Y., 10128. "Joan, It is very difficult to find appropriate words at this time. You always talked about your mother as one of your inspirations. She is inside you, where..."
Read obituary at New York Times. Leave an audio message for the Lieberman family. Use your phone to dial in a free personalized message. Click here to make an entry or listen to recordings from friends and family.